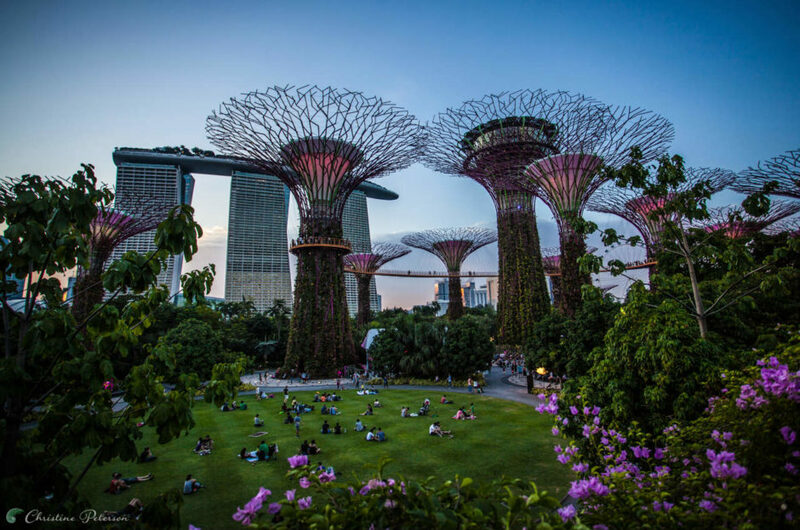 But the best thing about a visit to Singapore might be seeing its progressive vision to be a “City in a Garden” firsthand. Here are 15 of the most photogenic spots in the country. All images copyright © Christine Peterson 2016. Home to more than 162,900 plants, exploring these solar-powered vertical gardens is free, and at night there’s a Supertree light show that people watch from the lawn pictured. Purchase a Skyway ticket to walk around the treetops, or head to the top of the tallest structure for dinner and drinks. Gardens by the Bay covers 250 acres and features two giant, domed conservatories. 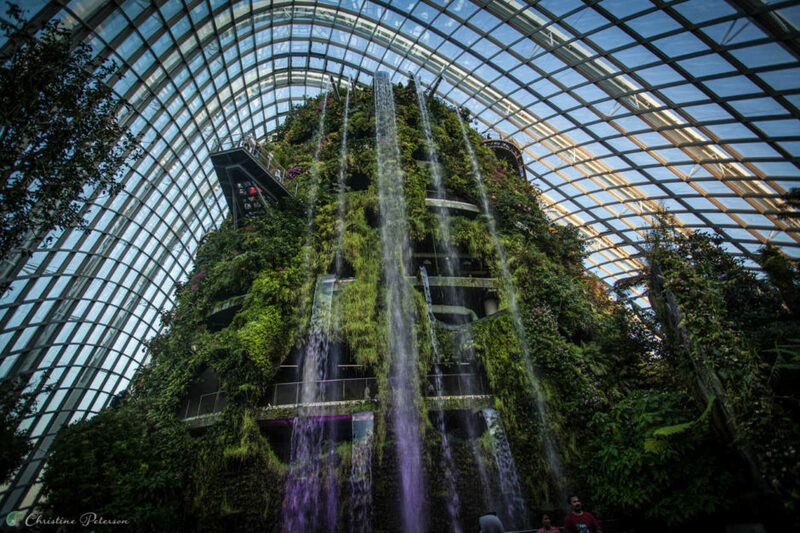 One has a Mediterranean climate and is focused on flower conservation; the other, pictured, mimics the vegetation and biodiversity of a tropical cloud forest and is home to the world’s tallest indoor waterfall. The lighting is beautiful and the cool atmosphere feels very realistic. You can walk all the way to the top of the cascade, but the view from the bottom is perhaps the most stunning. Use a wide-angle lens to capture a similar shot. Listed as a UNESCO World Heritage Site because of its tropical biodiversity, the Singapore Botanic Gardens are well worth a visit. 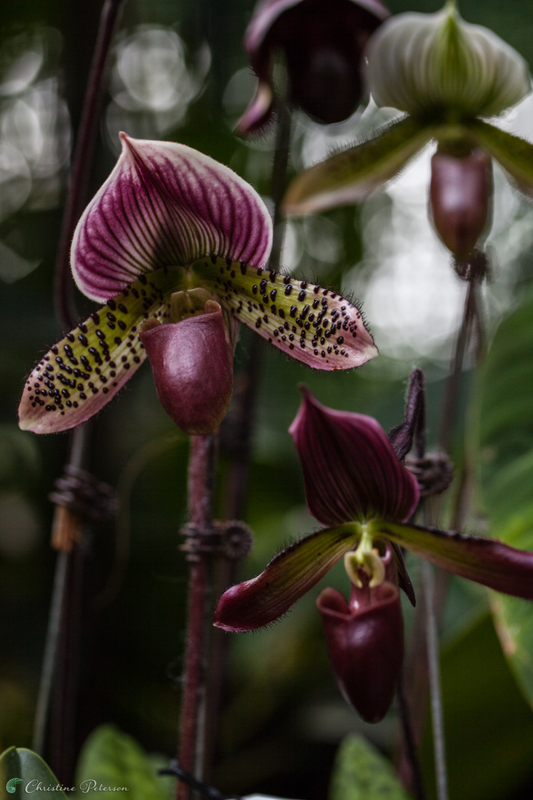 If you love orchids and are looking for a special photograph, check out Tan Hoon Siang Misthouse in the National Orchid Garden. To capture such fine botanic detail, switch your phone’s camera to a macro setting, or use a macro lens if you have one. Singapore’s tropical rainforest climate means all kinds of fruits and vegetables grow easily here. Bollywood Veggies is the leading farm in the northwest corner of mainland Singapore, and their organic permaculture garden isn’t just educational, there’s also a great onsite restaurant called Poison Ivy Bistro. After visiting Bollywood Veggies and picking up your tour map for the other local farms in the Kranji Countryside, it’s time to explore. 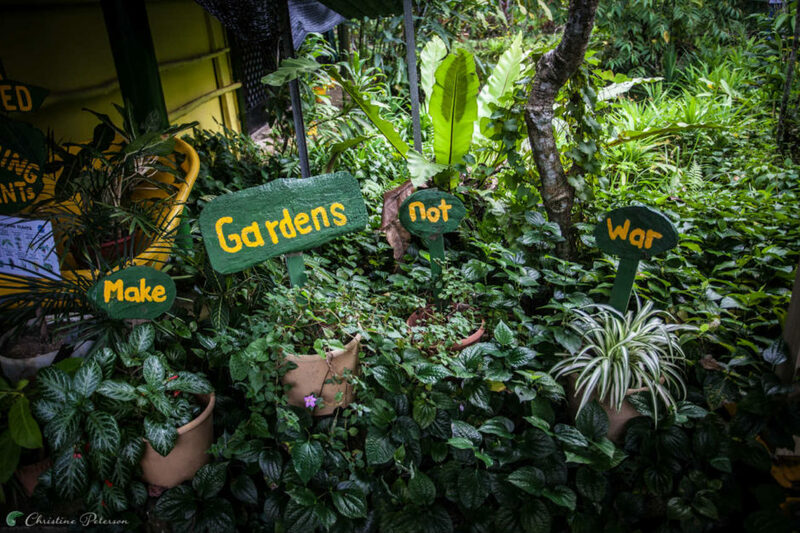 Here you can buy local produce, flowers, and pottery, as well as visit organic farms, frog farms, fisheries, and nurseries. 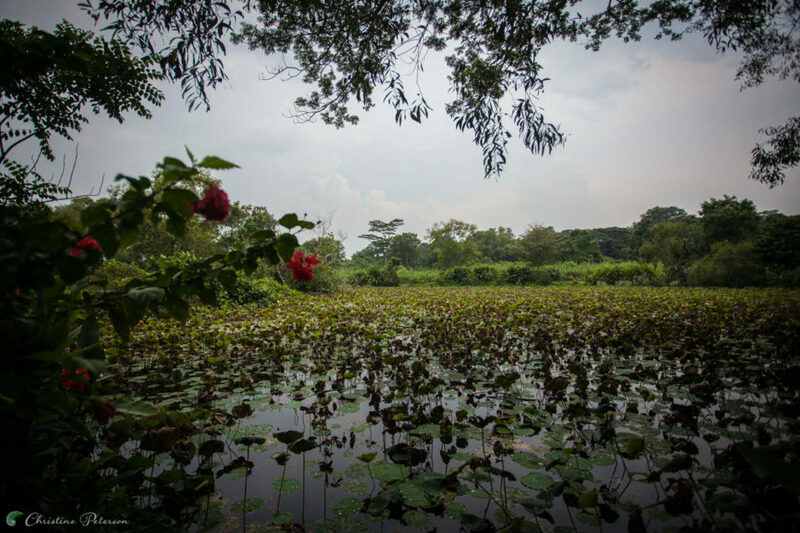 A favorite among photographers is the Sungei Buloh Wetland Reserve because of its rich biodiversity. Unfortunately, it started raining on the last leg of my journey, so I’ve included a shot of the beautiful wetlands at Bollywood Veggies. This semi-wild area is located at the back of the property. Another leader in the urban agriculture and environmental movement is a restaurant and educational garden called Open Farm Community. 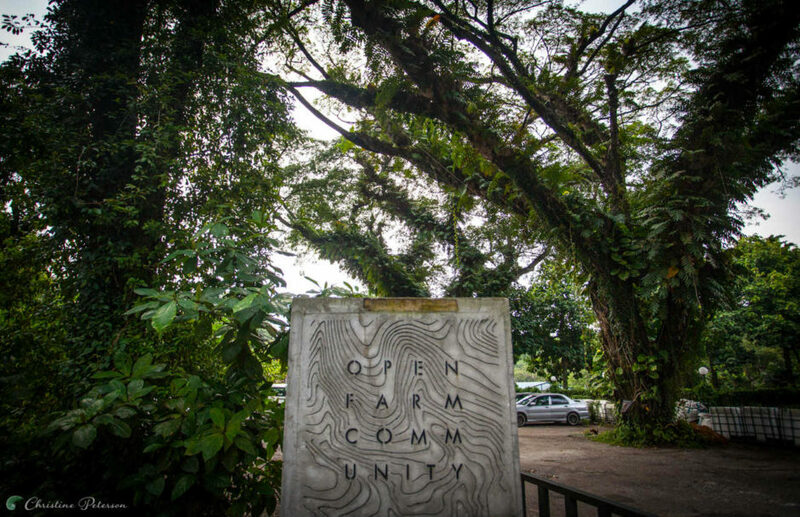 It’s designed by local company Edible Garden City, which promotes the Grow Your Own Food movement across Singapore. 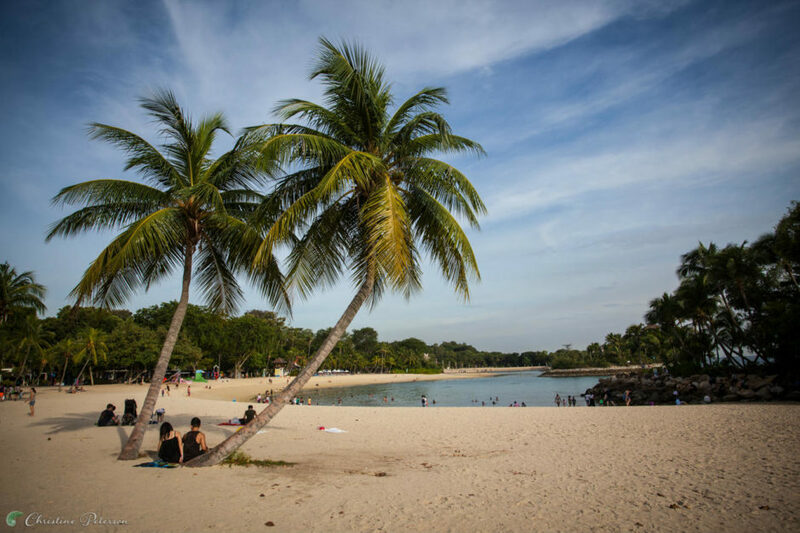 For a relaxing day on the beach, or a visit to Singapore’s big amusement parks like Universal Studios, the island of Sentosa is the place. There are three main beaches, all with different vibes. I always seem to be on the lookout for the perfect palm tree to photograph, so I was especially happy to stumble upon this lovely pair of trees. The ‘S’ curve of the beach also adds interest to the composition. 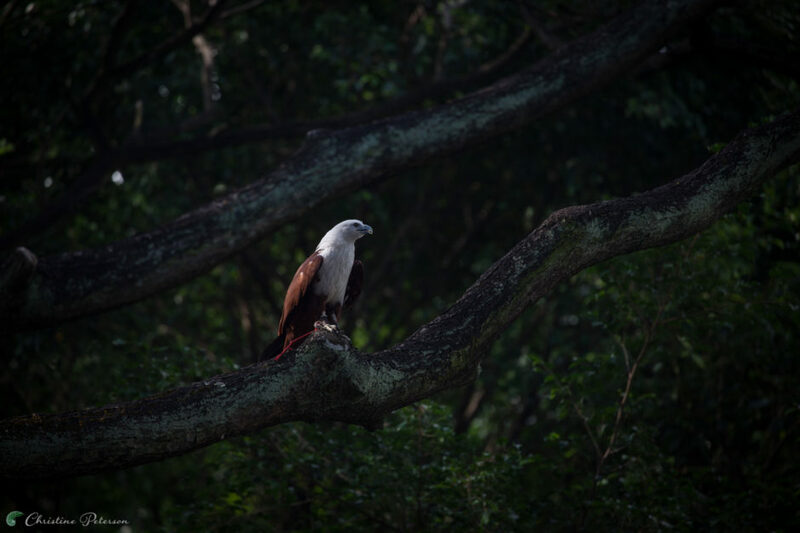 Head to Jurong Bird Park, managed by Wildlife Reserves Singapore, for the chance of photographing a brahminy kite like the one pictured above. Every day at 10am and 4pm, the bird park also hosts a birds of prey show featuring eagles, hawks, owls, and vultures. To capture the birds in flight, use a fast shutter speed, and — if you have one — a tripod for steadiness. If you’re a Star Wars fan, there’s a secret garden you may want to check out. George Lucas opened the Sandcrawler Building — modeled after the giant mobile fortresses in the movies — in Singapore two years ago as a production facility for multiple companies, including Lucasfilm. 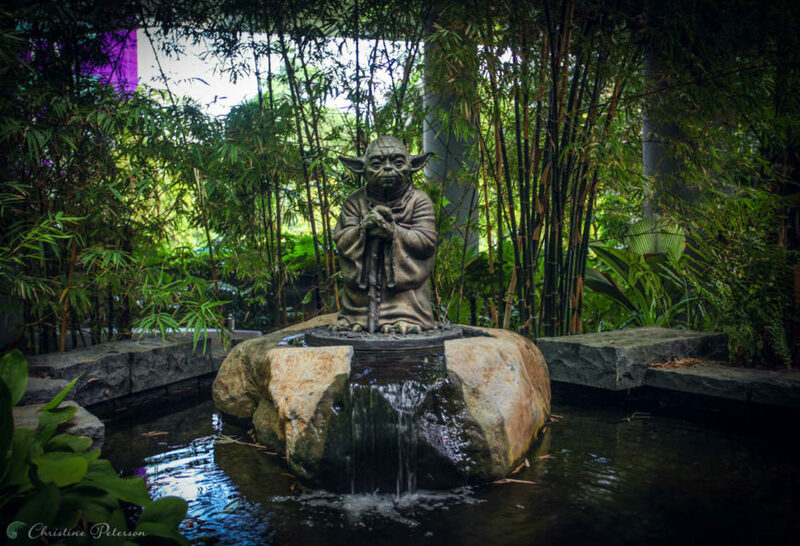 This Yoda sculpture in the front lobby garden is definitely worthy of an Instagram. Chinatown is a colorful part of Singapore that’s full of history. 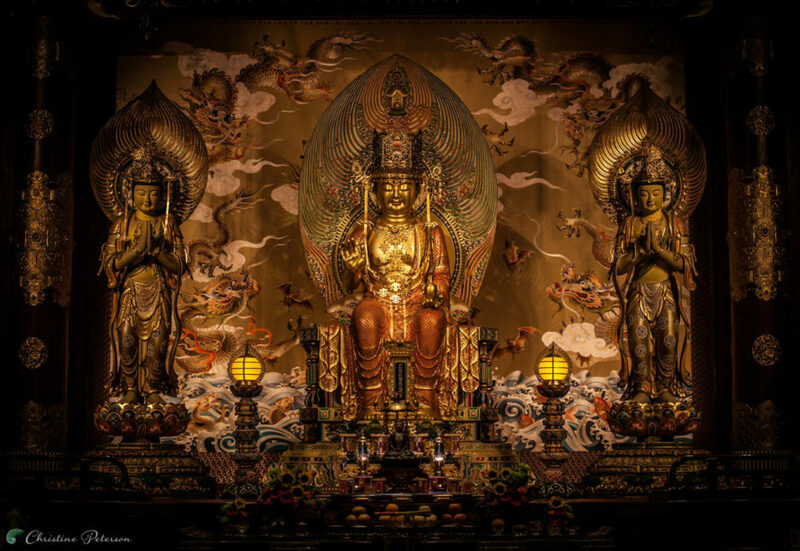 The most impressive temple in the area, the Buddha Tooth Relic Museum, opened in 2007 and has a large golden Buddha inside that followers give offerings and prayers to. A little boy told me the best part of the temple is the roof. He was right. At the top there’s an orchid garden and the world's largest cloisonné prayer wheel. Full of shops and markets, Little India is my favorite part of the city. 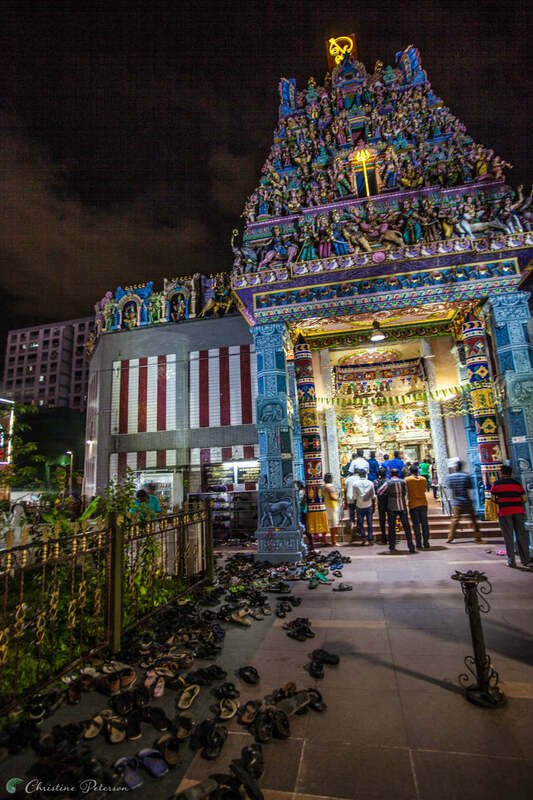 Spirituality is very prominent in this part of Singapore, and flower booths along the street sell offerings to bring inside one of the oldest temples in the city — Sri Veeramakaliamman. To enter this place of Hindu worship, you’ll have to remove your shoes and cover your shoulders and legs. As an artist, I’m always on the lookout for a place where I can vibe with like-minded people. After months exploring Singapore, someone finally told me about Haji Lane — a long alleyway close to Arab Street in the Kampong Glam neighborhood. Full of hipster bars, great restaurants, street art, and boutiques showcasing local designers, for me restaurant Piedra Negra is the highlight with its brightly colored murals and excellent Mexican food. If you’re looking for a great place to go out on the town, head to Club Street. 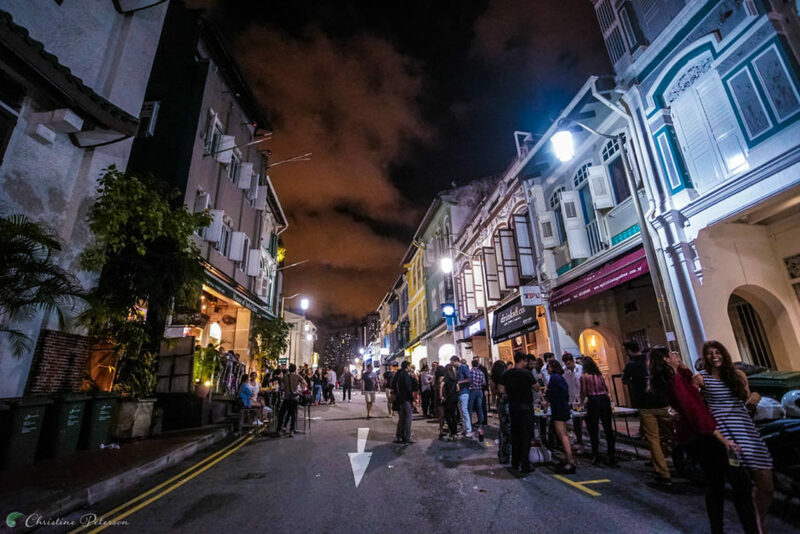 Singaporeans tend to eat dinner late in the evening, followed by drinks at their favorite bar, and only after midnight do they go out to the clubs. 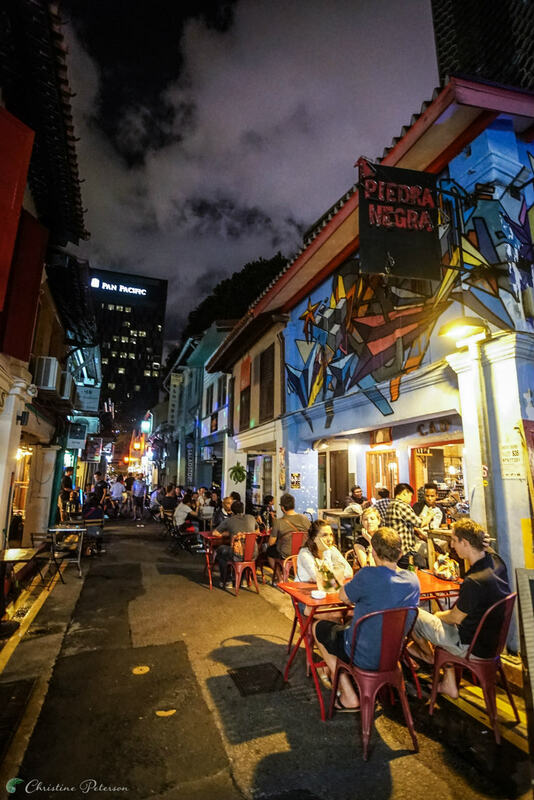 Full of boutique bars, this area caters toward a slightly more sophisticated crowd than Clarke Quay, pictured below. This image was taken with a camera that shoots well in low light, and with a wide-angle lens. 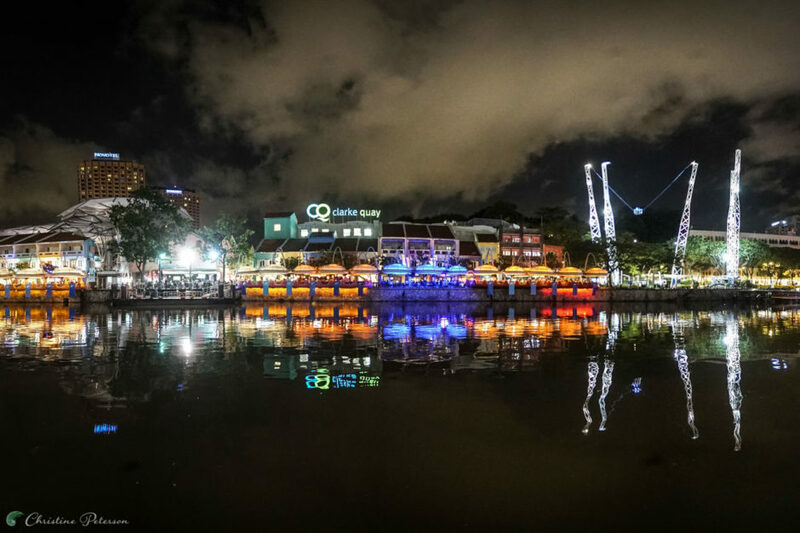 The center of the city — and the heart of Singapore nightlife — is along the waterfront near Clarke Quay. From here it’s also a pleasant stroll over to Boat Quay, which has an old colonial feel where the English pubs are mixed in with restaurants serving up practically every kind of Asian cuisine. I created this photo by stitching together multiple images into a small panorama. 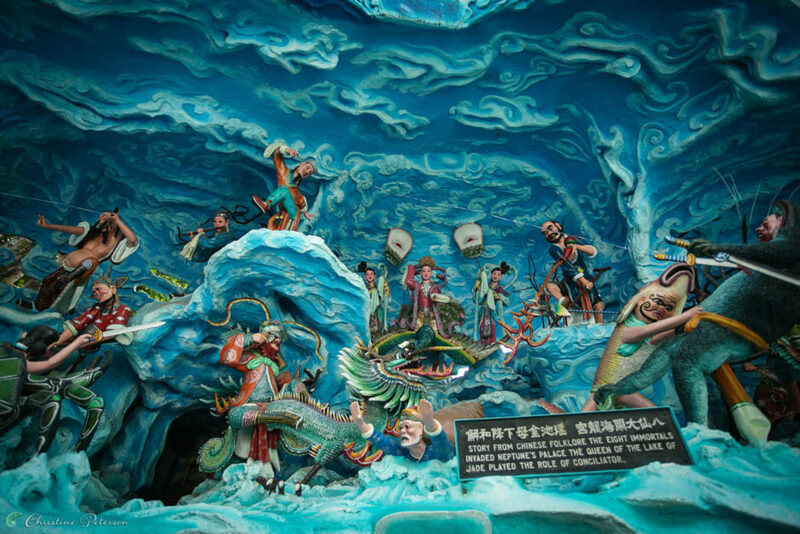 A bizarre but fascinating place to visit, bring an open mind and sense of humor to offbeat theme park Haw Par Villa, famous for its gruesome depictions of Chinese folklore’s Ten Courts of Hell. Built in 1937, the park is free to enter and photograph. This gallery was proudly produced by Matador for the IHG Travel Blog, where it was originally published. Check it out: Instagram Singapore: 15 places for the best vacation photos.